Even though Bali is well known for its stunning selection of beach clubs, that does not mean gorgeous rooftop venues are nowhere to be found. Bali has the coolest rooftop venues ever! 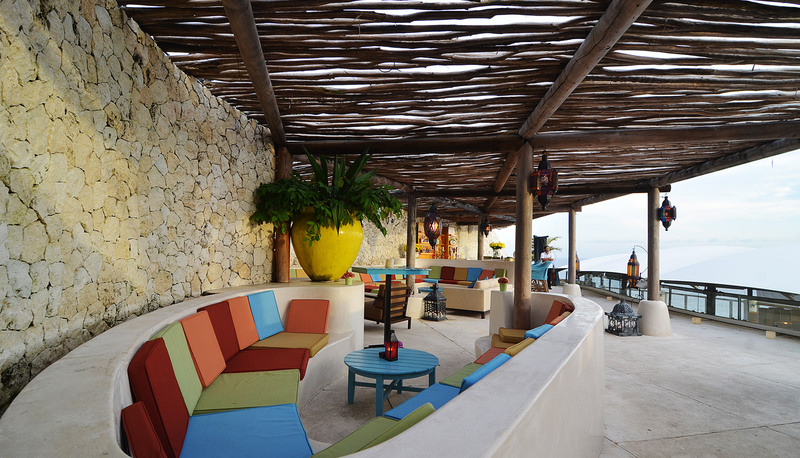 Just imagine losing yourself in the splendid beach view accompanied with your favorite summer drinks. Here is my top picks of our favorite rooftop venues in Bali. This has got to be the best new rooftop venue on the island! Definitely the best spot to catch a beautiful sunset in the evening. The panoramic view is beyond amazing. The location of the resort, AYANA, is set in the middle of a forest landscape, so you get the best of both worlds–a tropical forest view and a timelessly stunning beach view. This one has one of the most extraordinary arrangements ever. I totally fell in love with the floating tables! Not to mention that they are overlooking the beautiful Indian Ocean. This place is totally the ultimate chilling out spot. Cocktails with a view! If you’re looking for a brilliant place with a view plus reasonable prices, well, be excited, because Sky Garden has them all! With only Rp. 50.000,-, you can indulge yourself in their delicate BBQ ALL YOU CAN EAT! Unreal, but it’s true. 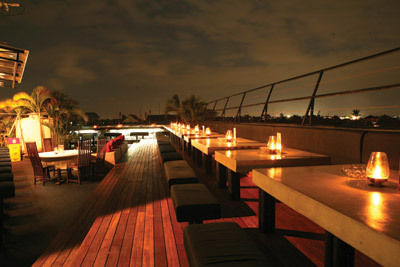 It is located right above Sky Garden night club, so if you wanna dance the night away, it’s just a few steps from here! That’s why all kinds of tourists never get bored with this spot. The atmosphere of this place is so elegant and peaceful! 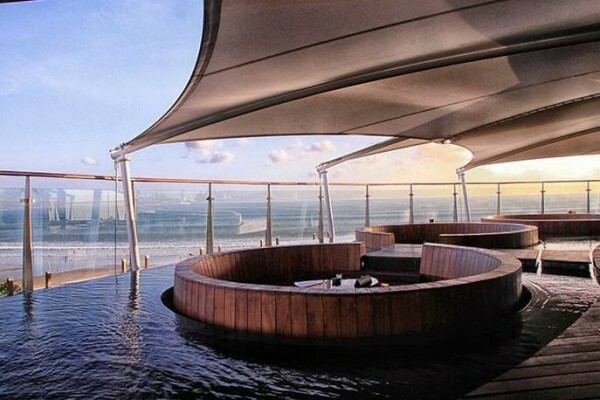 Such a great place to hang out with your fellas for some refreshing cocktails and afternoon snacks, while enjoying the stunning Nusa Dua beach view. The service is also top notch! This is the place to be! 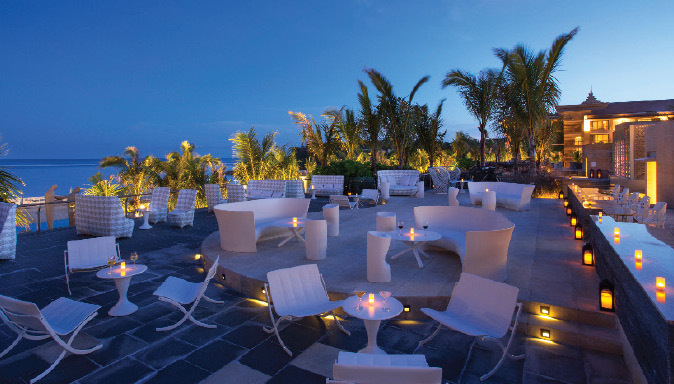 It’s located at Karma Kandara hotel, situated on top of a cliff, overlooking the panoramic beauty of the Indian Ocean. The place itself is designed and decorated brilliantly with a touch of Moroccan vibes. Amazing place to have some summer drinks along with some tapas! The post 5 Rooftop Venues In Bali You Must Visit appeared first on Qraved Journal.